1) Sign up as a follower on the right tool bar. 3) And tweet this out to your own group. Leukemia in Children is becoming much more common. Radiation and heavy metals are toxic to humans, especially to developing embryos and babies. 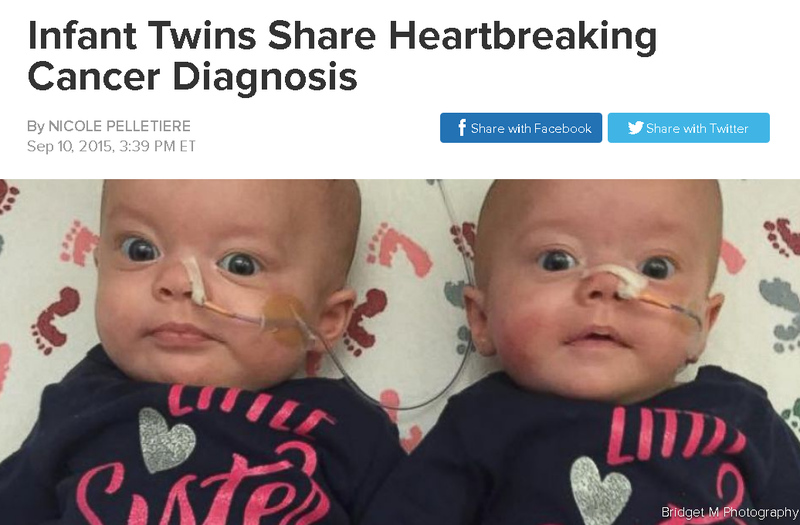 These little 3 month olds have to both go through chemotherapy, they both have leukemia. I wonder what damage just that does to their developing cells. The mom is as upbeat as she can be. They were born in Pierre South Dakota, right on the Uranium contaminated Missouri River. The have a "Go fund Me" Page, if you have the capability, please visit, and chip in to help them. The Missouri River is contaminated by open pit uranium mines, in the quest for nuclear power and also for coal mining. 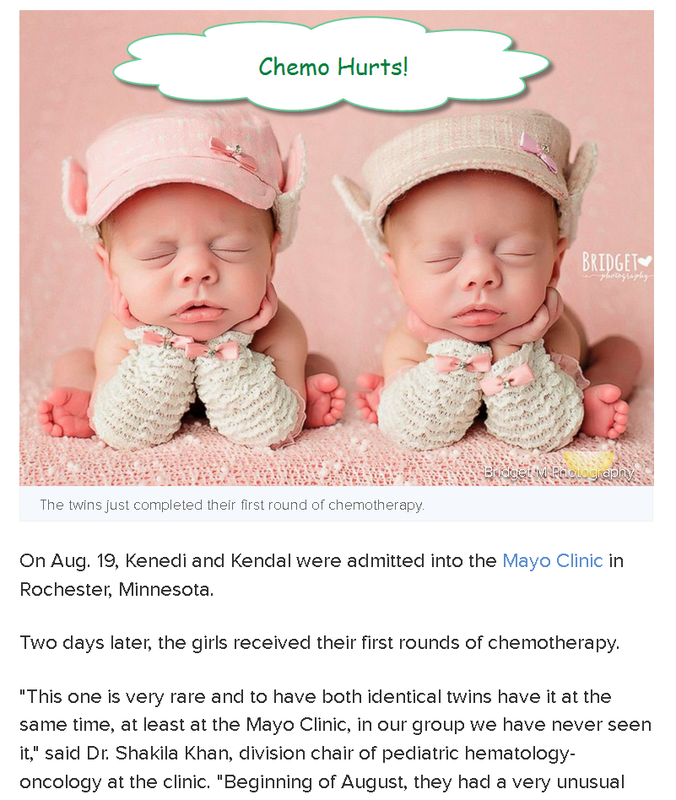 Neither energy source get a bye in accountability for these infant blood cancers. Even Presidents who go against the Nuclear Cartel find they have powerful enemies. To the sociopaths that run this country, and the NRC, all of this is "just statistics". To the real people, the chance that it is one in 10,000.....well the statistics at the point mean NOTHING. Look at this "female" this "Doctor" who reminds me of some sort of evil Dr Strangelove, she has gone on record to the NRC as wanting to increase the radiation level allowable to humans by 50 time. AND she goes on record as specifically demanding that women and babies should have no exemption from these higher limits. This goes beyond belief. 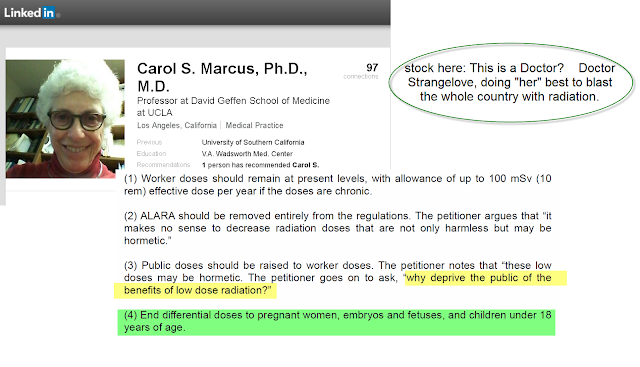 Everyone one knows that radiation affect women and children much more negatively. This is the picture that she picked for herself for her Linkdin profile. She and 2 cronies in cahoots sent a letter to the NRC, and the NRC is officially using that letter to justify a 50 fold increase in allowable radiation to the general public, including embryos and fetuses. She goes on to declare "Why deprive the public of the benefits of low dose radiation". She is a MONSTER. In terms of "what's next" for the twins. We still don't know. The girls counts have gone from 0 to 1. We need them to be 500 or more for a bone marrow biopsy and 1000 or more to begin the next round of chemo. How long will round 2 of chemo be? We don't know. That will be determined by the bone marrow biopsy. The bone marrow biopsy will happen after their counts are 500. When will their counts be 500? Tomorrow, Sunday, October 2nd. We just don't know. All we can do right now is continue to wait and continue to pray the girls remain infection free. Very possible, since it's very obvious this little girl suffered and died directly from Fukushima's Manmade Radiation Contamination. why is everything from this shill in duplicate? maybe the childrens parents can get a lawyer and recoop some of the horrendous costs of health care from umstream nuclear contamination. just heartbreaking. They don't have a case. Even stoc admits it could be other more likely causes. I'm no shill pal. No one pays me and I don't work in the private sector. You basically pay my salary. For that I thank you. I'm surrounded by some of the brightest people on the planet. We are innovators, not salesmen. Incorrect troll, stock doesn't admit "other more likely causes"
I state radiation and heavy metals. And by heavy metals I mean radioactive materials that are also heavy metals, such as uranium. double speak from the pid shill looney nuke aka aunavoz .michael mann "im not a paid shill but you basically pay my salary"
I work in the public sector dude. My company doesnt work for profit. Ya, the troll lives on tax dollars and spends his time lying to you. Well that's par for the course. Radiation hormesis conmen and women claim that there are magical unknown reserve mechanisms in the biochemistry and immune system of our bodies that are stimulated by radiation and repair damage caused by the glut of manmade radiosiotope pollution and ionizing radiation exposure in that persons lifetime defying billions years of evolution.